IRON MOUNTAIN — Lodavine Isabelle Thorne, 91, of Iron Mountain, died peacefully in her sleep Monday afternoon, Feb. 6, 2017, in her apartment at Victorian Pines Estates. She was born Aug. 27, 1925, in Iron Mountain to Angelo and Margaret (Rossi) Cecconi. She married the love of her life, Richard W. Thorne on May 12, 1950. Survivors include four children: Richard C. (Aileen) Thorne of Hartford, Wis., Deborah (Peter) Baker of McMillan, Mich., Pamela (Parnell) Pierce of Ashwaubenon, Wis., and Dennis (Diane) Thorne of Menominee. Lod is also survived by six grandchildren: Miles Baker of Washington, D.C., Ryan Pierce of Madison, Wis., Maggie (Aaron) Hayward of Canyon Lake, Texas, Micol (Kyle) Becker of Hartford, Wis., and Emily Hoskins and Zach Hoskins of DePere, Wis.; and great-grandsons, Brooks Becker and Evan Hayward. Lod leaves behind many loved ones including cherished cousins, nieces, nephews, and many friends. Lodavine is preceded in death by her husband; her parents; brothers, Ray, Ricardi and Richard; and sisters, Mary Lagina and Leona Jolette. 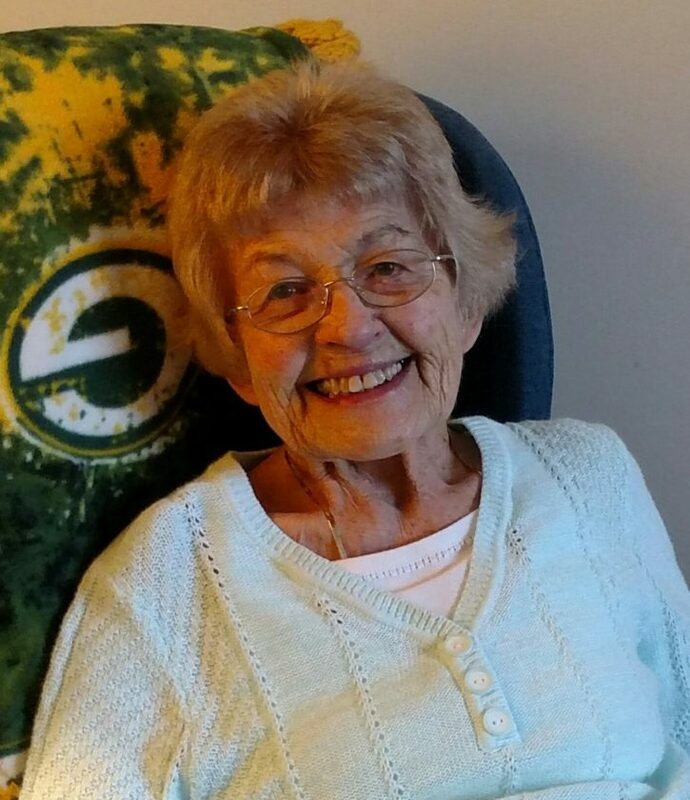 Lodavine was a long-time resident of Menominee, where she lived for 40 years before returning to Iron Mountain in 2008, where she lived very happily in the comfort of Victorian Pines Estates. A loving and fiercely loyal wife and mother, Lodavine would defend her family with a surprising tenacity belying her small size. She was everything a mother should be: wise, honest, kind, generous and fair. Nothing brought Lod more joy than when her family was together talking, laughing, and enjoying one of her epic Italian feasts. Her love of family and joy in life was embodied within her beautiful smile. Lod’s loved ones take solace in that, and the impact she had on their lives through her steadfast encouragement, sacrifices and belief in their hopes and dreams. Lodavine’s legacy will be the life-lessons learned by her family who were blessed to experience a life well-lived. Lodavine’s celebration of life is Friday, Feb. 10, in Iron Mountain. The visitation is at Erickson-Rochon & Nash Funeral Home from 11 a.m. to 12:30 p.m. The funeral Mass follows at Immaculate Conception Catholic Church at 1 p.m. Friday. Burial will immediately follow Mass at Cemetery Park. Memorial donations in honor of Lodavine’s life may be made to Immaculate Conception Church. Condolences may be expressed to the family of Lodavine Thorne online at www.ernashfuneralhomes.com.